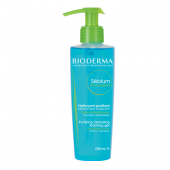 Please note we can only ship Bioderma to countries within the EU. 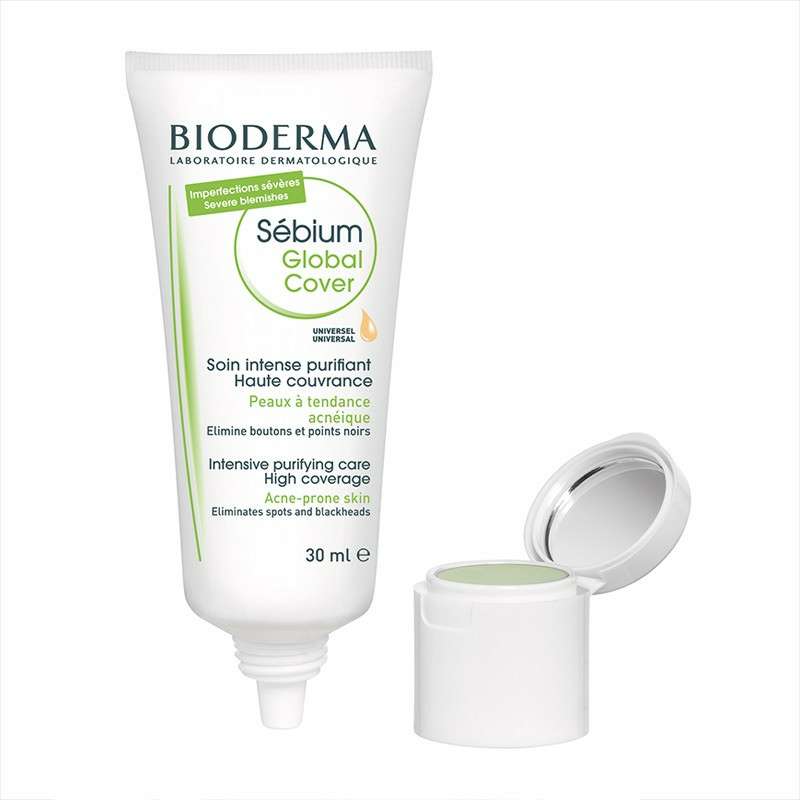 Sébium Global Cover is a high-coverage tinted treatment that acts on the causes of spots and blackheads using SeboRestore technology [Fluidactiv patent(TM) - Bakuchiol]. 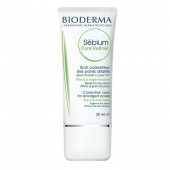 This technology rebalances the composition of sebum to restore its natural protective functions and prevents new blemishes from forming. The combination of properly dosed dermatological active ingredients – AHA esters and salicylic acid – clears pores and smoothes skin texture. Enoloxone soothes skin and reduces redness. Zinc gluconate purifies the epidermis and regulates shine. Glycerine moisturises the skin for guaranteed comfort. This high-coverage tinted treatment, rich in pigments and mattifying powders, evens out the complexion. The green compact neutralises redness for enhanced correction. 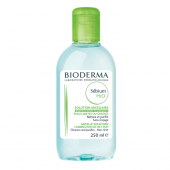 How to use: Using on cleansed skin with Sébium Gel Moussant or Sébium H2O. Apply in the morning, on spots, a touch of green compact located on the cap. Unscrew the cap and spread tinted fluid on the entire face. Screw the cap thoroughly after each use, The formula is very fluid.